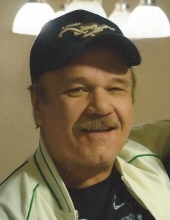 Celebrating the life of James Edward Birch Jr.
Obituary for James Edward Birch Jr.
BIRCH, James Edward Jr. -- Age 63 of Mount Morris, died January 30, 2019. No formal services will be held. Visitation will be 12-5 PM Thursday, February 7 at Sharp Funeral Home & Cremation Center, 6063 Fenton Rd., Flint, followed by a celebration of life dinner. James was born September 24, 1955 in Flint the son of James Edward and Beverly (Gooding ) Birch Sr. He. married Nancy Denike He was an avid hunter and fisherman. He enjoyed outdoor activities. James enjoyed spending time with his family and grand kids. He was loved by all. He is survived by his wife, Nancy; son, James Allen Birch ( Jaime) of Swartz Creek; stepdaughter, Lisa Denike of Mt. Morris; 3 grandchildren, Logan, Kaylee and Matthew Birch; parents, James and Beverly Birch of Mt. Morris; siblings, Michael (Belen) Birch, Ronald Birch, Michelle Birch (Keith) , Jacky Birch (Dale), Jeff Birch; many nieces and nephews. He was preceded in death by his grandparents; stepson, Kelly Denike. Tributes maybe shared at www.sharpfuneralhomes.com. To send flowers or a remembrance gift to the family of James Edward Birch Jr., please visit our Tribute Store. "Email Address" would like to share the life celebration of James Edward Birch Jr.. Click on the "link" to go to share a favorite memory or leave a condolence message for the family.